It’s been a thrilling summer of sport here in the UK, creating an air of positivity across the whole country. When your team do well, that produces a real can-do attitude in the community – but let's not forget the leadership, strategy, tactics and hard work that drive the transformation of a team from rank outsider to world-class contender. And that need for a core strategy is equally true of your accountancy firm. You won't transform your team into winners without the right planning, goal-setting and training. Debbie Spooner, Customer Success Specialist, explains how to define that core strategy. Positivity goes a long way as an accountant when it comes to building the ideal practice team, and that means leading from the front and setting the right core values for your team. As a firm, it’s easy to fall into a routine – to stick with the same processes and approaches to client work and customer service simply because you’ve no time to review your strategy. To evolve means stepping outside of your established practice mindset, and it will require energy, belief and motivation to bring about that change. Positive thinking is key to this, but belief itself won't bring about change. You need action! 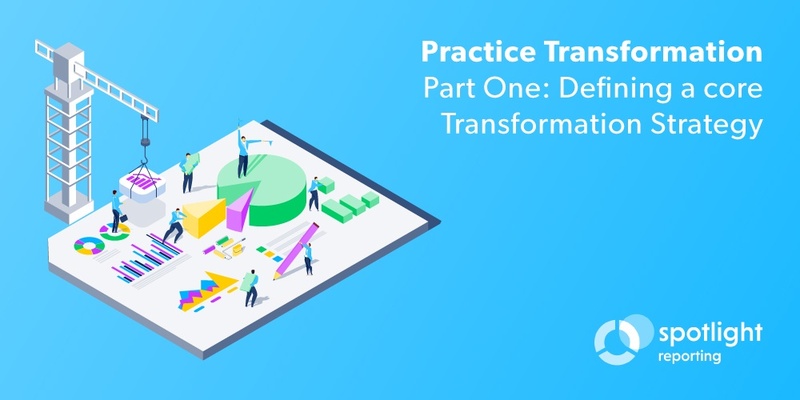 To start evolving your practice team, you absolutely need to define your core goals and vision – so it’s vital to pin down your firm’s objectives, your game plan for achieving these goals and your team tactics for how your people will action on this plan. When we started Spotlight Reporting, we knew we wanted to create a cloud solution that delivered robust and flexible reporting for customers. And we’ve achieved that vision through a mixture of goal-setting, long-term planning and clear action to deliver the best possible product and customer service – and the self-same approach can be applied to your practice evolution. Set clear goals for your transformation - as an accountancy firm, your objective may be to become a cloud practice, to focus on a niche specialism or to grow your business advisory services. But defining that goal is the first step to making it reality. Have a game plan - this is your route map for change, incorporating your fundamental goals, with key milestones, actions and measurements along the way. Train up your team - your people are one of the real drivers for change. So you need to train them up, get them engaged in your plan and give them the capabilities, customer service skills and belief to move forwards – thinking as a team throughout. Promote your new services - you need supporters, so marketing your new advisory services, or targeting your new niche industry audience will be critical to driving success – and one of the most important actions for executing your change process. 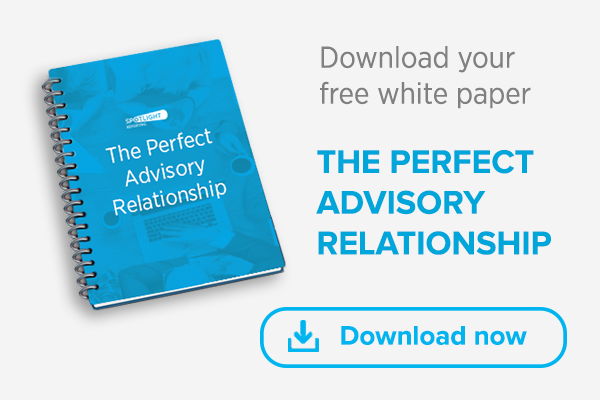 Focus on great client relationships - to make your new strategy work, you need business clients who add value for the firm – clients that appreciate what you do, understand your new mindset and who are advocates for your new-look firm. This is exactly what we did as a business: we set a goal, took action, marketed our solution and built up a client base. And by taking the same approach, you can evolve your practice. Our Customer Success team provide your accountancy firm with the advice, planning and target-setting to create a robust transformation strategy for the firm. And in Part 2 of this series, we’ll explain the value of knowing where action will add most value for the firm. If you want the best possible advice on defining your change goals, tracking your performance and driving success, come and talk to the Spotlight Reporting team.